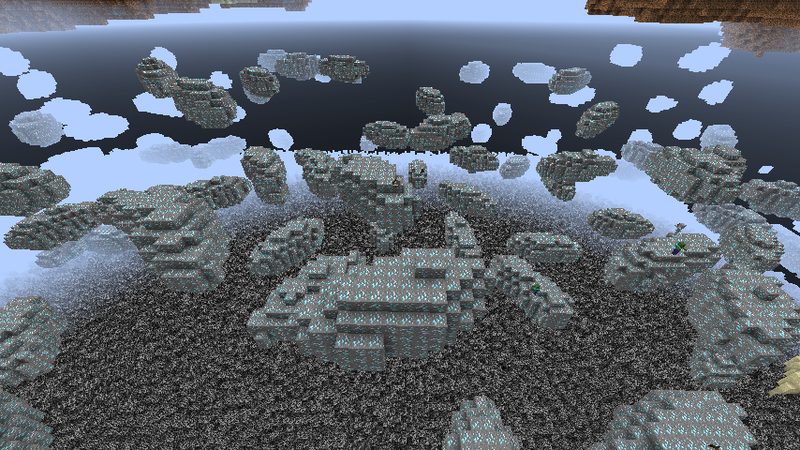 Spawn Size: The maximum number of blocks in a single vein. You can also see why coal is more common than iron, with an average vein size that is more than three times bigger, and even larger than the "spawn size" set, matching my findings from analyzing a normal world and what I find in-game (which is also biased by the fact that coal veins are bigger and more likely to be hit when mining or be exposed in a cave, resulting in 2.5-3 times more coal being found relative to iron, despite the lower density). 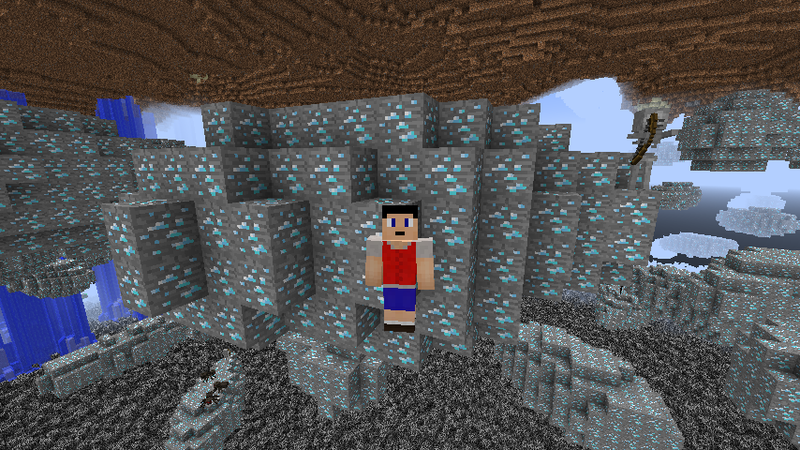 Also, note that in a real world there is considerably less of some ores, such as diamond, because they can only replace stone; a lot of diamond ore is lost in bedrock, as I've seen when comparing default and Superflat worlds, plus anything else (caves, other ores), that generate beforehand; similarly, a lot of coal attempts to generate above sea level. Plus, since ore veins only generate down from their maximum height (actually, one less because of how the random number generator works, so diamond ore is normally found up to y=15, not 16) veins that generate at y=0 never generate any ore unless you make a Superflat world without bedrock at that layer. As for an explanation of this behavior, and possibly why the Wiki claims that the "spawn size" is the maximum number of blocks in a vein, a look at the code (WorldGenMinable) shows that there are four loops; the outermost one goes from 0 to the "spawn size" (which means when it is 10 the loop actually iterates 11 times), which might seem to only generate that many blocks, but there are three more nested loops (four total) which appear to iterate over x-y-z dimensions, using randomized start/stop values, to generate a cubical region of blocks (blocks actually placed depend on a noise value being less than one), multiple regions of which overlap. Also of note, I was able to significantly optimize the code (for a 1.6.4 mod, not 1.8) myself by making the outermost loop increment in steps of two instead of one for larger veins, with a minor (about 10-15%) reduction in average vein size for dirt/gravel/stones (an even more significant improvement occurred when I had the stones only change metadata instead of the whole block, possible because they have the same ID as stone - world generation time was nearly halved when generating 10 times the normal number of veins, amounting to a couple seconds less at normal rates). Wow this is very interesting. What mod did you use to see all those diamond veins? I used MCEdit to delete all stone (I only had diamond ore generate so as to not influence results) and a Night Vision potion (you can also see water pouring down from sand collapsing). And yes, MCEdit still works with 1.8 despite the changes as the save files still use numeric IDs for blocks, exactly the same IDs as always (so why were item IDs in the save changed, causing all sorts of trouble? Presumably items still have numeric IDs somewhere since the game uses arrays to hold them; array index 1 = "stone", index 2 = "grass", etc). Also, I thought to note that you can actually set the "min" height to be higher than the "max" height, which will generate ore in a single layer at the "min" height (extending across several layers); the game doesn't try to prevent you from doing this. Thx was racking my brain thinking what you were using. Thanks! Thanks I was just about to start running this test for myself. We were making a customized survival world that generated significantly different than normal worlds (doubled underground size, ores much rarer but larger, gems a little more common but much smaller vein sizes). For some reason we were getting no generation at small vein sizes, now I know why! Is that because of the variance then? It rounds down to zero too often? I'm surprised it generated none at all for 1&2. I guess we'll pick size 3 then as our min. Download and play my new Survival Map! Space Expedition to EPIC 204: Go on a Space-Age Adventure to visit and explore EPIC 204, a wacky world of dense asteroids and full of alien life! Experience Custom Seasons, Weather, Over 50 new creatures, Beautiful Biomes, Alien Ruins, Dungeons, and new space age tech crafting recipes!